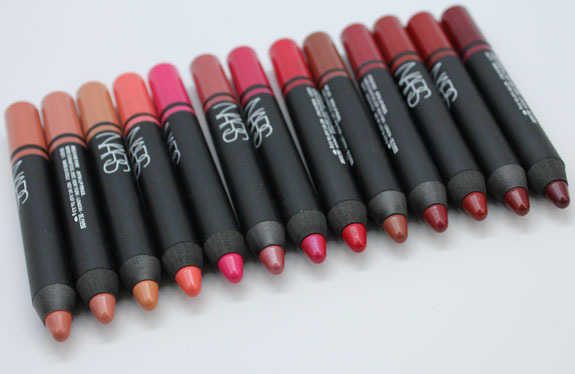 Wanna know about the brand spankin’ new NARS Satin Lip Pencil Collection for spring 2013? 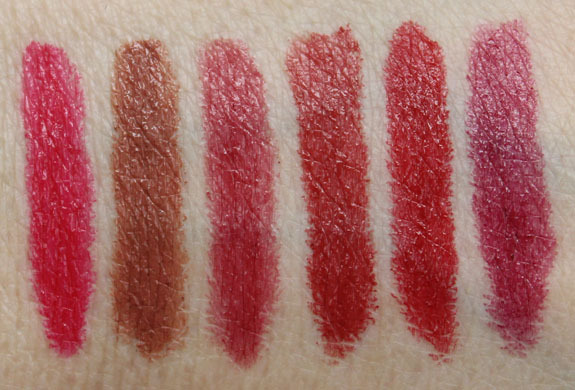 Well I’ve got all the info and swatches for ya! 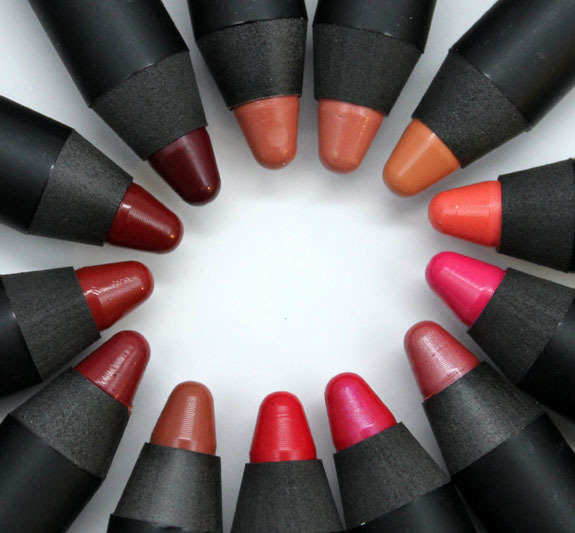 These super rich, pigmented, and moisturizing lip shades come in a jumbo pencil shape and thirteen shades. 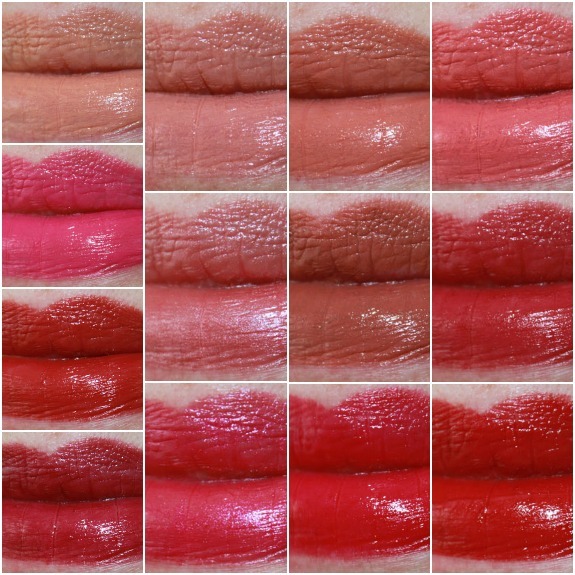 They includes pomegranate fruit extract and a complex of phospholipids, yeast extract, collagen prepeptides, hyaluronic acid and vitamin E to moisturize and soothe lips. 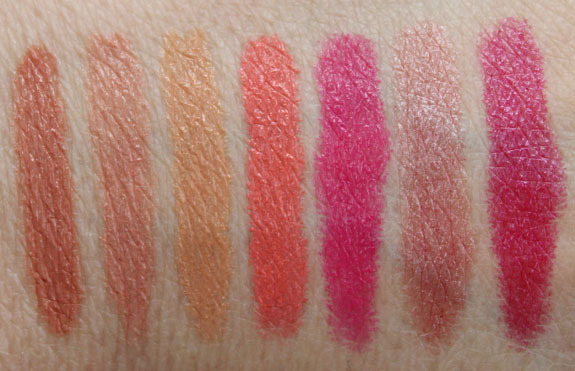 But really, besides all that fancy talk, they have an amazing smooth and slick texture, and are packed with color. Fabulous color! The names come from parks all around the world and here are the stories behind the names. Floralies– A light apricot inspired by the Montreal garden created for the 1980 International Floralies competition and featuring plots representing Canada, the United States, France, England, Mexico, Belgium and Italy. Isola Bella – A peach beige hue named in honor of the Palazzo Borromeo and its 19th century-era garden found in one of the Borromean Islands in northern Italy. Biscayne Park – A pink guava christened after the US National Park located in Southern Florida – the largest marine park in the National Park System. Lodhi – A vibrant coral named for the serene, Mughal-designed Lodhi (or Lodi) Gardens in Dehli, India. Rikugien – A rose pink inspired by the scenic Tokyo park constructed between 1695 and 1702 by the samurai Yanagisawa Yoshiyasu and named for the six elements of Japanese poetry. Yu – A shocking pink inspired by the Chinese garden located in the northeast of the Old City of Shanghai. Conceived during the Ming Dynasty, the Yu (or Yuyuan as it’s also known) means Garden of Happiness or Garden of Peace in English. Jardin Des Plantes – A fuchsia hue named for a botanical garden on the bank of the Seine in Paris. Part of the Museum national d’Histoire naturelle (National Museum of Natural History), the grounds include four galleries open to the public and a botanical school. Palais Royal – A stately hue befitting Paris’ 1st arrondissement palace and garden that was originally the personal residence of Cardinal Richelieu until it became the property of the King in 1642. Majella – A rich garnet befitting the botanical garden in Via Colle della Madonna, Abruzzo, Italy – home to approximately 500 varieties of plants, including several species native to the Central Apennines or Mount Majella regions. Hyde Park – A cardinal red that lives up to its moniker as one of the largest Royal Parks in central London. Luxembourg – A vivid watermelon named after the second-largest public park in Paris, originally commissioned by Maride de Medici in 1611 and featuring a lawn dotted with more than 100 statues, monuments and fountains. Golshan – A spiced win shade named for the 127,000 – square meter Persian garden located in Fars Province, Iran that’s also the home to a former royal palace. Het Loo – A cognac color named for the richly decorated baroque garden located in Apeldoorn, Netherlands. Overall: Well these just came in a little over an hour ago so I have yet to do a wear test! However I can tell you they feel really nice and comfortable on my lips. 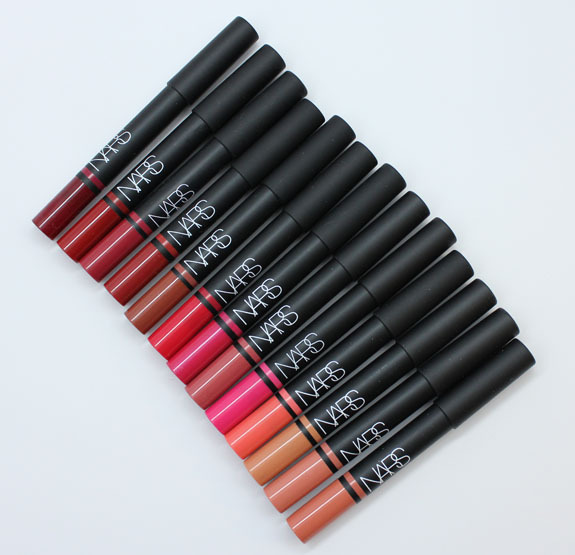 They are very soft and easy to apply, and you get excellent payoff. There are quite a few of these I love right off the bat and they are Yu, Lodhi, Majella, Luxembourg and Jardin Des Plantes. Pricing: $25.00 for 0.07 oz. I wanna know, which of these are you going to be picking up? 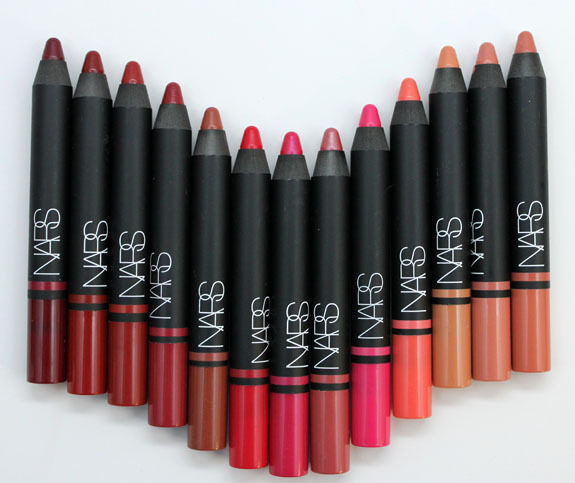 Note: NARS is cruelty free.